DNA testing is a method of testing developed over the last number of years that uses the ability to isolate a specific genetic marker in a sample from your pet to identify whether a specific organism or genetic trait is present in your pet. These tests are very specific and very sensitive, meaning that results can be obtained even if only a small amount of a specific genetic marker is present in the sample. Many different types of samples can be used, but most commonly, a small blood sample and or a swab from the mouth or from the vent is all that is needed. This type of testing is used very routinely in our bird patients to help screen them from contagious and even zoonotic (meaning able to spread to people) organisms. Testing of our bird patients is recommended, and the test can be repeated based on your bird’s risk of exposure to these organisms. 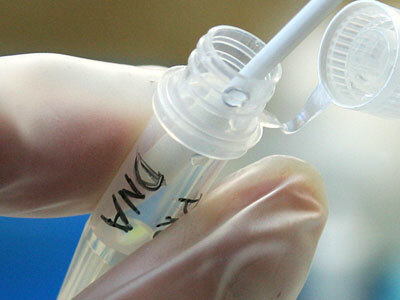 DNA testing is also the standard used for sexing your bird. Samples for these tests can be collected safely, taking only minutes, at the time of your bird’s examination. Many times this test can be done at the same time as the Wellness Screen, using the same sample, which further decreases any stress your bird may have undergoing the procedure. Ask us about having your bird DNA screened at your next visit to our Toronto hospital.